Taraji P. Henson earned an Academy Award nomination for Best Supporting Actress opposite Brad Pitt in David Fincher’s THE CURIOUS CASE OF BENJAMIN BUTTON. Taraji is a 2011 Emmy nominee for Best Actress in a Movie or Miniseries for Lifetime’s TAKEN FROM ME. She starred as Detective Joss Carter in the highly rated J.J. Abrams crime drama PERSON OF INTEREST for CBS opposite Jim Caviezel and Michael Emerson. 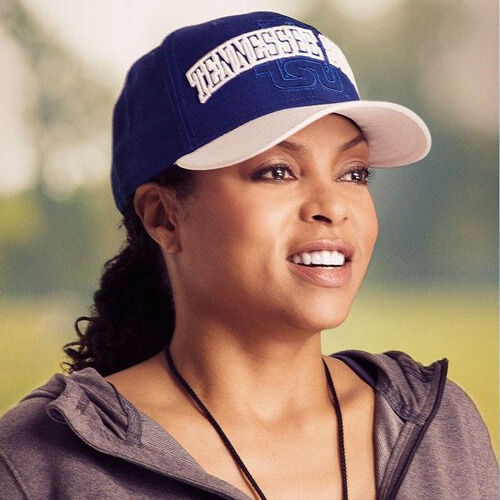 Taraji stared in the major hit THINK LIKE A MAN, which opened to #1 at the box office and just completed THINK LIKE A MAN, TOO. She will next star in Sony’s NO GOOD DEED,opposite Idris Elba, which opens in September 2014. In LARRY CROWNE she co-starred with star and director Tom Hanks alongside Julia Roberts and Cedric the Entertainer. She starred in the hugely successful KARATE KID opposite Jaden Smith and Jackie Chan and in DATE NIGHT with Tina Fey and Steve Carrell. For her role in Tyler Perry’s I CAN DO BAD ALL BY MYSELF, she received the 2009 Diversity Award for Best Actress. She also starred in PEEP WORLD playing Rainn Wilson’s love interest; THE GOOD DOCTOR with Orlando Bloom and ONCE FALLEN costarring Ed Harris. Henson received rave reviews for her role in Focus Features’ TALK TO ME opposite Don Cheadle. She costarred in the ensemble action drama SMOKIN’ ACES with Ben Affleck and Alicia Keys. Henson was named Outstanding Supporting Actress in a Feature Film by the Black Movie Awardsand received the BET Best Actress nod for her performance as Shug in the gutsy drama HUSTLE & FLOW also starring Terence Howard. She starred in Sony’s NOT EASILY BROKEN opposite Morris Chestnut, alongside Forest Whitaker in HURRICANE SEASON, and with Kathy Batesin Tyler Perry’s THE FAMILY THAT PREYS. Henson made her singing debut in HUSTLE & FLOW and performed the Academy Award-winning song, “It’s Hard Out Here for a Pimp,” on the Oscar telecast.